There are so many wonderful places to visit but there is no other city in the world like London. If you are planning a holiday you should consider these 10 reasons to visit London. 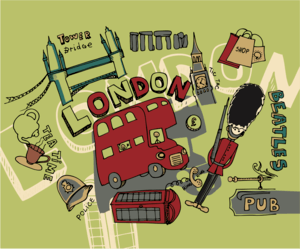 What makes London so unique? London is never boring. It’s a city that you can visit over and over. Each time you are guaranteed to find something new. There is something for everyone. However strange or unusual, London will have it. As the saying goes, when you’re tired of London, you’re tired of life. What are the top 10 reasons to visit London? Try and catch a glimpse of the Royal Family at Buckingham Palace or Westminster Abbey. If you are interested in history to check out the Tower of London. If you want to see London from above, head to London Eye. If you know the difference between a Jackson Pollock and a Picasso, London has an art gallery to suit every taste. See the classics at the National Art Gallery, if you prefer modern and contemporary art go to the Tate Modern. Top Tip: Don’t miss out of taking an open top bus tour around the city centre. London was built on fire and destruction Regardless of its gruesome past, the city has continued to grow and thrive. If you want to find out more, visit the London Museum, London Dungeon, Churchill War Rooms or one of the many walking tours. Another great reason to visit London is for its impressive green parks. Once the sun comes out, you can be sure to find Londons lounging around on the grass soaking up the rays. Parks aren’t just for sunbathing. Try horse riding in Richmond Park or boating on the Serpentine in Hyde Park. Explore the tropical garden house at Kew Garden and enjoy a picnic in Green Park. London is home to lots of beautiful stately homes that are rich in their own history. Hampton Court Palace is most notable as once the home of Henry V11. Top Tip: Relax in St Dunstan in the East Church Garden, located in the very heard of the city. The river Thames runs through the beating heart of London. Hundreds of years ago it got so cold that the river froze over solid. What did Londoner do? They set up shops and fairs. They might not be any more fairs on it now but the river offers fantastic walking and cycling opportunities. Visit London’s South Bank or the National Theatre and afterward enjoy a drink looking out at the river. Top Tip: Take a walk along the Grand Union Canal which takes you through Regents Park, Maida Vale and Camden. Number 5 of our ten good reasons to visit London is for all foodies. There are roughly 40,000 food establishments in London. Whether you’re after egg and chips or a 3 Star Michelin food experience, it has it all. Enjoy London’s reputation as a culinary world-class capital. Whatever your poison is, you’ll be sure to find the perfect place to enjoy it. Visit a traditional pub and enjoy a Sunday roast. Or try one of the many bars in Soho enjoy people watching. Top Tip: Have traditional afternoon tea at the Ritz. Another great thing about London is that all the museums are free. A great way to make culture accessible to everyone. If you want to look at dinosaur bones you can go to the world famous National History Museum. Or, if you’re interested in Samurai Armor, pop along to the Victoria and Albert Museum. Or just stop by for a coffee and enjoy the stunning architecture..
Top Tip: Visit the John Soane Museum and enjoy his eclectic collections of paintings, sculptures and antiques. Markets have thrived in the City of London since the Middle Ages. There’s a market for everything – antiques, vintage clothes, flowers, fresh produce, second-hand goods, even meat. Top Tip: Buy yourself some Fresh fish for dinner at Billingsgate Fish Market. What better reason is there to visit London than to go shopping. Burn a hole in your pockets strolling through the designer outlets in Marylebone, be overwhelmed by the crowds on Oxford Street, explore boutiques on Carnaby Street. There’s something for shape, size, and most important budget. Top Tip: Fancy spotting a celebrity, take a stroll down Bond Street stopping in the new Stella Mccartney Store. One of the most diverse cities in the world, every nation is represented. Overall Londoners are a friendly bunch. They love talking about two things: the weather and the tube. They also love their historical pubs, so if you are chatting with locals while enjoying a pint of warm ale share with them your 10 reasons to visit London and I’ll bet they’ll agree with you. Top Tip: Bring an umbrella, even in summer.